3 days in Prague? 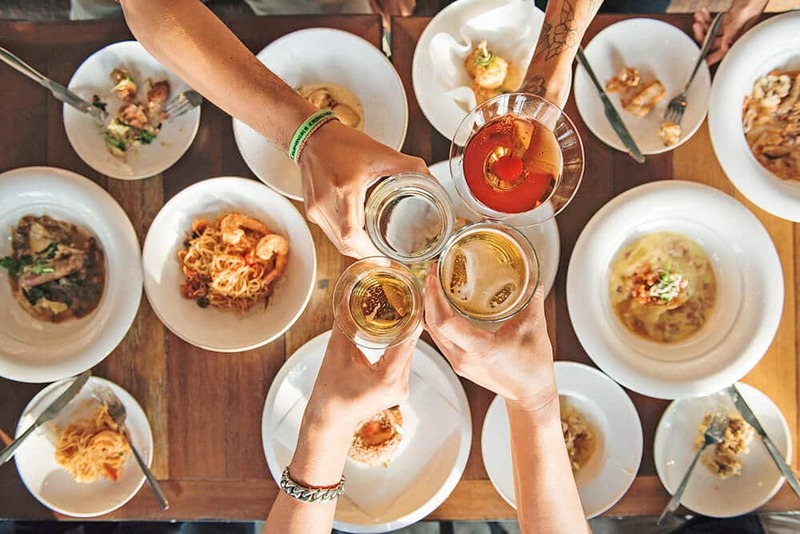 Plan a foodie tour! Prague is one of the European gems that for the longest time has been neglected by international tourism. The Bohemian Capital of the Czech Republic has finally gotten the attention it deserved and many people now think it’s even more beautiful than Paris! This Prague itinerary for 2 days (or more!) aims to help those who are trying to decide what to do in Prague in every season. At the bottom you’ll find useful info also on the best day trips, if you can spare some time! 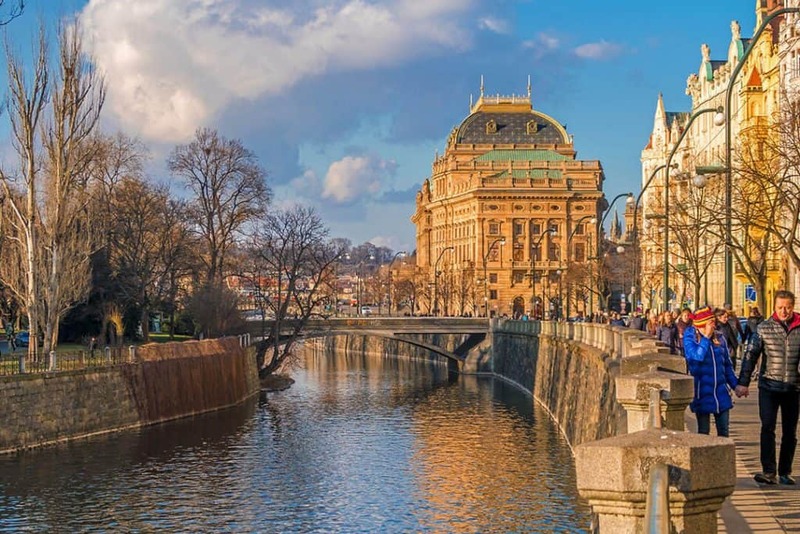 The Bohemian capital, with its centuries-old buildings, quirky art, tasty beer and beautiful architecture, is among the most beautiful in Europe. If you are expecting it to be “old and grey” only because you’ve read that Prague is a medieval city, think again. Our first walk through the narrow streets in Prague left us speechless: cute, pastel colored buildings with intricate designs, a lovely blue sky, smiling people and the scent of food in the air. It was love at first sight! 2 days in Prague can be enough if you want to see all the main highlights. 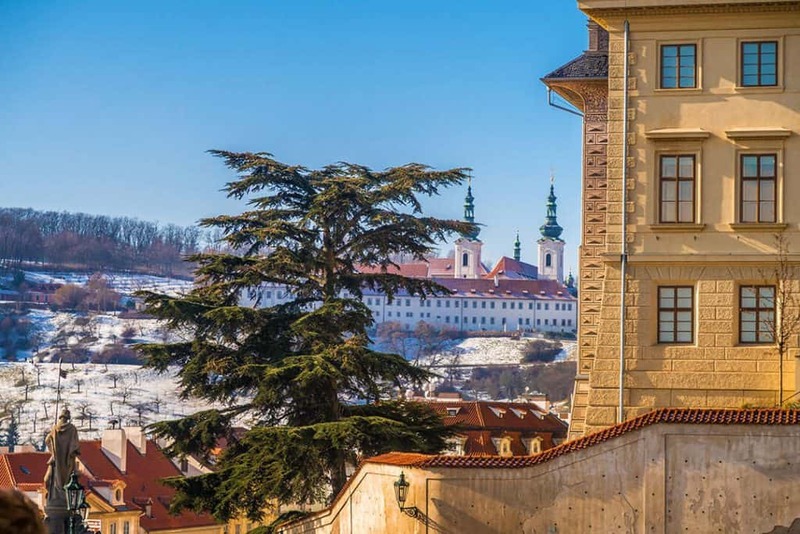 In case you decide you want to visit Prague in Winter (here you can find our packing guide for Europe in winter with many useful info), you’ll find it is less crowded and cheaper. Of course 3 days in Prague would be even better: at the bottom of this article you will find a few ideas for day trips that you can experience. Just in case you can stay for a bit longer! Because it can be particularly crowded from May to August, we encourage you to plan your trip to Prague in April or September. Snow and cold don’t scare you? Even better! You should thus visit Prague in December for the Christmas markets. A Prague sightseeing trip can be also added to a longer vacation in Europe. After all you can easily get there from Bratislava, by train or enjoying a river cruise. One of our favorite multi-city trips in Europe was when we managed to visit several Christmas markets (and 3 countries!) in a few days. You can in fact visit Prague, Vienna and Bratislava, all in the same trip! We live in Naples, where we can enjoy Christmas Alley every day, but we just can’t get enough of the European Christmas markets so we go whenever we can! Let us tell you what to do in Prague in 2 days, with useful tips to plan the perfect Prague itinerary, full of history, good food and of course lots of fun! 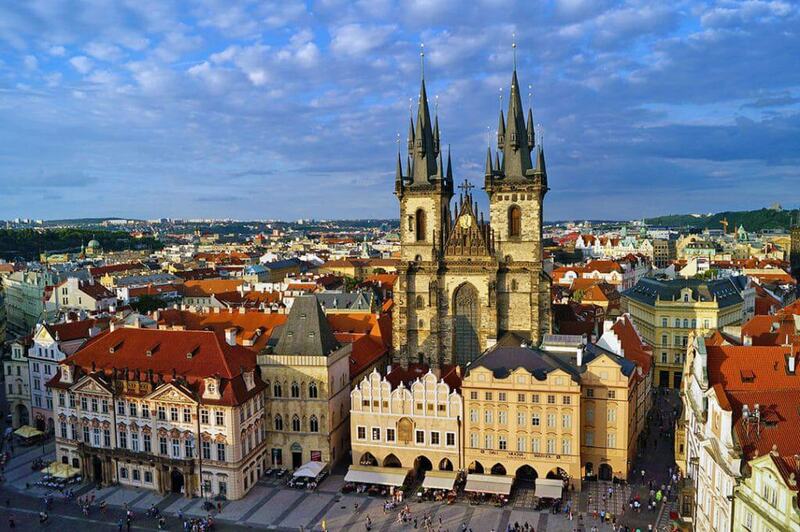 Your first day in Prague will be devoted to exploring Prague city center: Old Town Square (Staromestska namesti). This is the perfect place to go also if you want to take some amazing pictures for the ‘Gram. The first thing you’ll notice, upon arriving in the main square, is the familiar shape of the Church of Our Lady before Tyn. Probably the most famous Church in Prague! Here you will find the colorful Prague Christmas Market, and the Easter Market. Old Town Square has been Prague’s principal public square since the 10th century. When we visited Prague Old Town, it was pretty early in the morning, with only a handful of food stalls just opening up and preparing warm Trdlo (Trdelnik) for the tourists. Why “for the tourists”? Well, it’s because, as we mentioned in another article, Trdlo isn’t a traditional recipe from Prague. Here you can find info on the traditional Czech dishes and where to eat them! Because this area tends to get pretty crowded during the day, we highly suggest you add it at the top of your Prague itinerary for two days, so you can visit first thing in the morning. 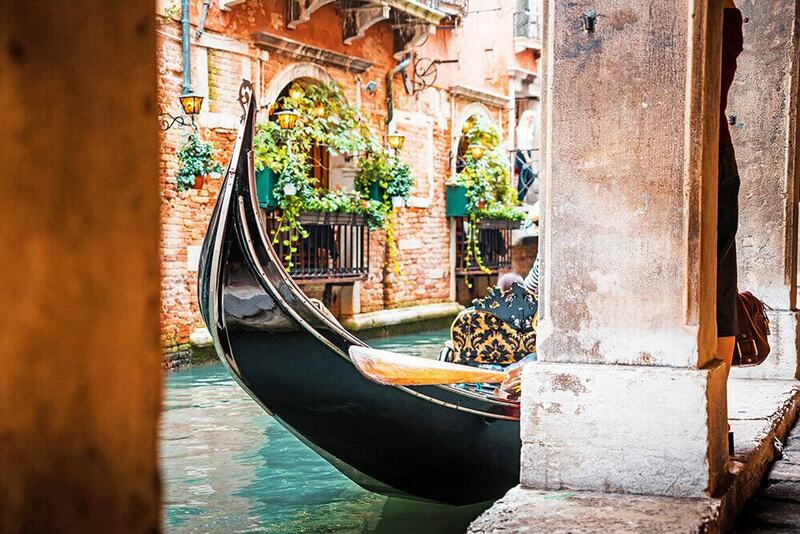 It’s the best way to enjoy the beautifully colored buildings without feeling pressured by the crowds. The Old Town is also one of the best spots to find nice souvenirs in Prague! The massive statue you will find at Old Town Square is the Jan Hus Memorial, unveiled in 1915 to commemorate the martyrdom of Jan Hus, a Czech Theologian, rector of the Charles University in Prague. If you’re going to visit Prague in the warmer months, this is a good spot to have breakfast as there are many benches all around the monument. People watching here is definitely interesting, as there are visitors from all over the world! Unfortunately many people go to this square only to shoot a quick picture to the spiked towers and of the Astronomical Clock. This iconic clock is located at the Southern side of the Old Town Hall Tower. When it strikes the hour (from 9:00 am to 11:00 pm) the procession of the Twelve Apostles sets in motion. While of course we agree that you should definitely add it to your Prague itinerary, there’s so much more to see in Prague! Once there, according to what you want to do, you have the chance to visit The Gothic Church of Our Lady Before Tyn, or the Baroque church of St. Nicholas. 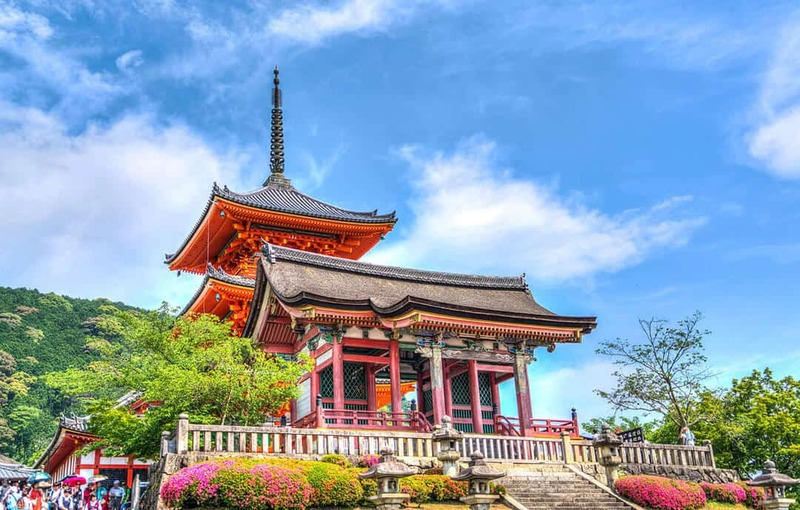 If you like Oriental Art, make sure to get inside the neo-Rococo Kinsky Palace, where they also have a particularly interesting exhibit on the art of calligraphy. Another highlight in the magical Prague Old Town is the Renaissance building called The House at the Minute. It’s covered in ornate Sgraffito decorations depicting Greek mythology scenes and references to Biblical and Renaissance scenes. Franz Kafka used to live here with his family, on the second floor. While we were debating what to see in Prague in 2 days, we wondered how bad would it be to explore Prague Old Town by foot. After all, me and Al visited Prague in winter and we were worried about the cold. After testing our Prague itinerary, we can finally tell you that it’s doable! There’s enough time to enjoy yourself and to explore without having to rush your visit. Yet if you get tired, you can still hop on a tram or a metro. Public transport in Prague is easy to use and efficient! After exploring Old Town Square, we moved to Josefov, the Jewish district in Prague Old town. If you’ve been following our blog, you’ll know that we have been to Auschwitz and Birkenau, therefore we make it a point to visit the Jewish districts in Europe, to learn and remember. At Josefov you can visit one of the most ancient Jewish districts in Europe, unfortunately half demolished between 1893 and 1913 as part of an initiative to model the city on Paris (here you can find a handy guide to Prague neighborhoods that you can also use to decide where to stay). What was left are a few synagogues, the old cemetery and the Old Jewish Town Hall: they’re all part of the Jewish Museum in Prague. As we walked towards Wenceslas Square from Josefov, we crossed Na Prikope, the shopping street in Prague. If you are looking for an instagrammable spot to take a few pictures of you rocking your new outfit, this is the place to go to! The parkway is lined with designer shops and beautiful buildings. It’s also one of the nicest places to go to when exploring Prague at night! The last stop of the day can be Wenceslas Square, which played a major role in the history of Prague. It was (and still is) the traditional place for demonstrations, celebrations and public gatherings. Here you will find cinemas, theatres, hotels, dozens of restaurants and shops. 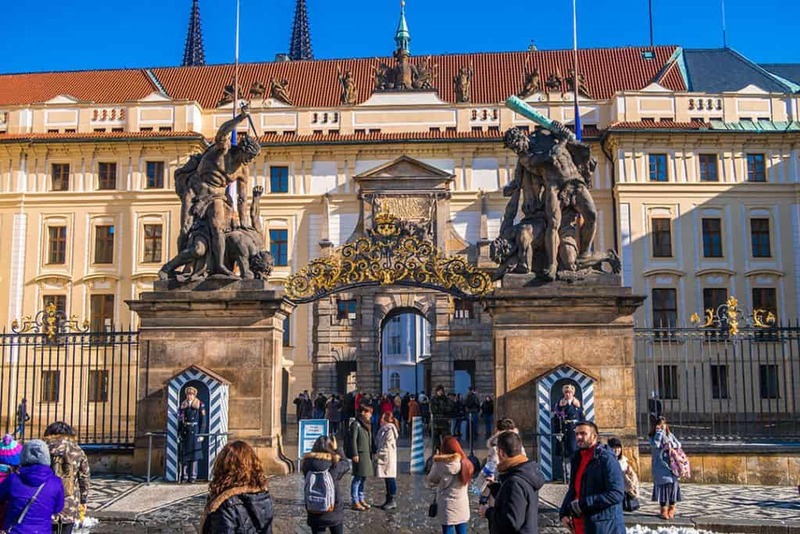 The magnificent entrance to the Prague Castle – it can be pretty crowded! On our second day in Prague we planned another long walk. Because we were staying at Prague Old Town, we decided to walk towards the Powder Tower, which is a city gate that separates the Old Town from the New Town. This is an optional stop that you can or cannot do, according to where is your hotel (not much to see!). Afterwards, we opted to visit another one of the main highlights of Prague. Charles Bridge is a pedestrian only bridge that crosses the Vltava River. The spiked towers on both sides were used as models to rebuild several other towers in Prague during the Victorian age. When we arrived in Prague, our taxi driver (we’ve discovered I have a knack for getting to know a new city by talking to taxi drivers) told us that the best time to go to Charles Bridge is before 6am. We thought he was joking, until we got there. At 8:30 am it was snowing and still there were so many tourists. The worst part of it was having to wait in line (and gosh, some big groups took ages to take a huge number of selfies, making everyone else wait: don’t be that kind of tourist, please!) to take a few pictures of the statues on the bridge. We can only imagine how crowded it can be during peak season! Our taxi driver was right: if you are planning to take a few good shots of Charles Bridge, head over there at dawn, when (hopefully) everyone else is still sleeping! From Charles Bridge you have two options. The first one is hopping on a tram and getting up the Prague Castle hill. When I planned an itinerary for 3 days in Prague for my parents, that’s what they did. There’s a tram stop fairly close to one of the entrances, at Pražský hrad. But me and Aldo wanted to climb up there. Even if I have asthma, I keep on challenging myself. Full disclosure: it was pretty hard for me, but I still made it up the top (thank you Al for being always so lovely!). The long upward sloping road up is quite long but the stairs have some space on the side if you want to stop for some rest now and then. Once you get to the top, you will be able to shoot quite a few good pictures of Prague Castle and of the city from above. This fortified hill includes several different buildings that you can visit. To get inside, you will have to go through a security check and a metal detector. While the line can be quite long, the soldiers at the entrance were absolutely nice and tried to make it as quick as possible. You won’t have to remove your shoes (hopefully) but they might ask you to open your bag so they can check what you’re carrying inside. Please, remember that while you should be allowed to bring a gimbal or a tripod with you, you can’t fly a drone, so they might keep it at the entrance if you have brought it with you. According to how much time you have, and what you want to visit, you can choose between two types of tickets. The first one (Circuit B) includes only the highlights, so it’s a “shorter route” (St. Vitus Cathedral, the Old Royal Palace, St. George’s Basilica and the Golden Lane with Daliborka Tower), and a second one (Circuit A) which is longer (St. Vitus Cathedral, Old Royal Palace, exhibition “The Story of Prague Castle“, St. George’s Basilica, Golden Lane with Daliborka Tower, and Rosenberg Palace). Both tickets are valid for two consecutive days. If you have a Prague Card the first kind of ticket (Circuit B, the main highlights) is included. We had a card so we decided to go with the shorter route. Because there’s so much to see, it might be a good idea to choose Circuit B, especialy if you only have 2 days in Prague. St Vitus Cathedral is one of the places where you’ll spend more time. Its towers dominate the skyline of the hill, and the inside, when the sun is shining through its stained glass windows, is full of colors and history. The Old Royal Palace is a quick visit, because there isn’t too much to see. Not as much as the Cathedral, anyway! As you walk towards (you will be given a handy map with the numbers of the buildings you can visit on your ticket) St. George’s Basilica, make sure you avoid the large ice patches, especially if you are going to visit Prague in winter. Our last stop was the Golden Lane. Now, while this is one of the instagrammable places I’ve told you about, I honestly have no idea how some people managed to shot cute pictures here with no tourists around. If you don’t mind getting up before dawn to visit this place, then you might be lucky. Otherwise, don’t be too disappointed if it’s crowded: we actually loved it anyway! This colorful street, originally built in the 16th century to house Rudolf II’s guards, takes its name from the goldsmiths that lived there in the 17th century. Being Italian, I immediately thought of Burano when I saw it (yes, including the crowds!). There are dozens of tiny, brightly colored houses, and even a couple of shops that sell Christmas decorations all through the year. Many of the houses are now souvenir shops, and there’s even a small museum of medieval armoury, but others can be visited, to see how people were living back then. There’s even a tiny tavern! Many writers and philosophers, like Franz Kafka, used to live here. The Golden Lane is connected with the Dalibor Tower, which used to be a dungeon. It’s one of those fun/macabre/weirdly interesting visits that can take a bit more time. Of course you can make it a short visit if you’re not interested. To make sure you plan the perfect Prague itinerary, google some of the places you want to go to, and look at the pictures. It’s what I do to try and understand if I’ll like a place or not, especially when I only have a couple of days! Before you leave the castle premises, head to the Belvedere. It is another instagrammable spot in Prague. Here you can take a few more pictures of Prague Castle and Prague from above. We decided to buy a nice snack before to hop on the tram: several layers of potato slices deep fried on a stick, for the equivalent of 2€. It was cheap and delicious! While you are on this side of the Vltava River, there’s another thing you can do while sightseeing in Prague. If you like bizarre art, make sure to visit the courtyard of the Franz Kafka Museum. Over there you will find two bronze statues peeing into a pool shaped like the Czech Republic, made by David Cerny, one of Prague’s most famous artists. Also, if you want a good picture of the Charles Bridge, walk over to the Lennon Wall, where the angle is better! If you aren’t too tired, you can get up to Petrin Hill using the funicular. No, you didn’t drink too much beer on your first night in Prague: the mini Eiffel Tower is real! Petrin Tower was built as part of the Jubilee Exhibition in 1891, a miniature (not so much) copy of the most famous tower in Paris (ratio 1:5). On a clear day from the top of the Petrin Tower you will be able to see nearly all of Bohemia. Unfortunately there isn’t an elevator so unless you want to climb all the stairs to the top, this might be a very short visit. 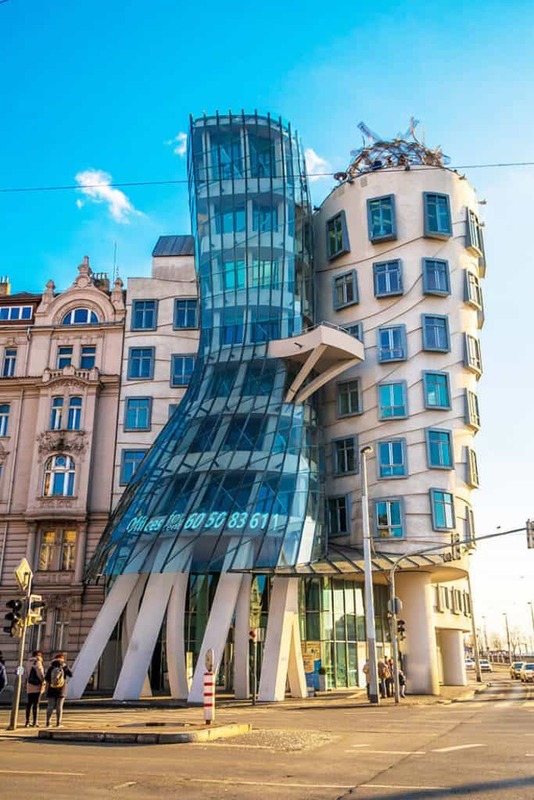 The Dancing house is one of Prague must see! While planning our Prague itinerary, we realized that we didn’t only want to see the touristy spots. Sure, we have already added a few amazing things to do in Prague in two days, and we haven’t even started with how amazing it can be at night, but… is it really how the locals live? We thus added a third day to our itinerary. After so much walking, we opted for a late breakfast, and then for a food tour. 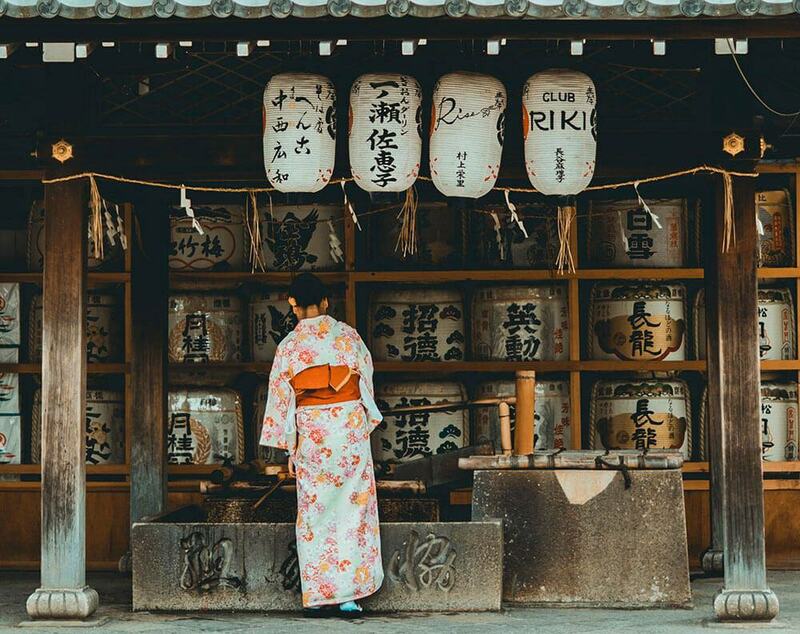 We believe that good food tours won’t only show you the food that locals eat for real, but they also share insights and the history of a place. 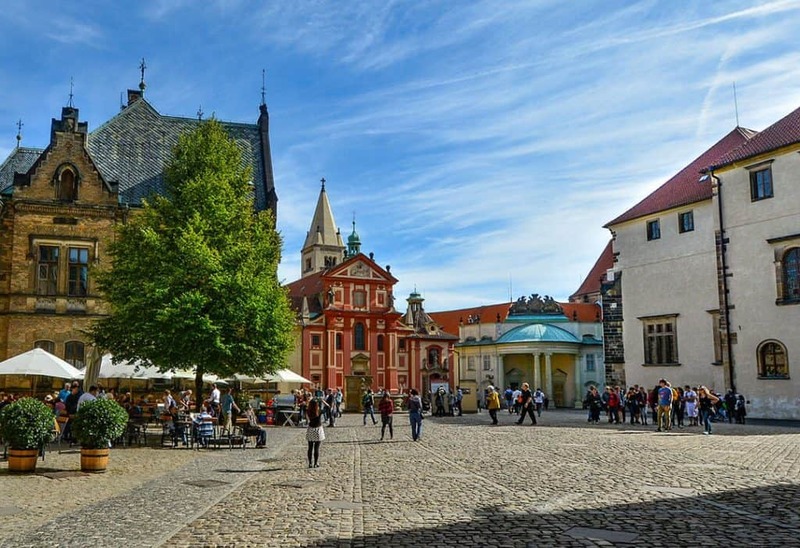 In case you’re not up for it, jump to the last chapter in this article, where you will find interesting day trips from Prague that you can add to your itinerary! Our food tour started at 12:30 so we had time to just leisurely walk through the city until we got to a shop where we’d meet with a tour guide from Eating Prague Tours. Food tours with this company run until late in the afternoon and you get to walk around at a slow pace, with a local that shows you secret foodie spots where the people from Prague go to shop and dine (I did the same in my food tour for Naples!). This is how we explored a little bit more of Prague, off the beaten path, just the way we like it! Here you can find all the restaurants we’ve been too. After we said goodbye to our group and tour guide, we decided to hop on a tram to go see the iconic Prague Dancing House. This building is also known as Fred and Ginger. Designed by the Croatian-Czech architect Vlado Milunic, in cooperation with Canadian-American architect Frank Gehry, it was completed in 1996. This iconic attraction looks almost out of place, in an area where there are so many Baroque, Gothic and Art Nouveau buildings, because it’s clearly modern and… a bit bizarre. Yet all you need to do is to look at it the right way. Stand on the side: you will realize that it looks like two people dancing. It was in fact inspired by the famous dancers Fred Astaire and Ginger Rogers. And the research the architects did was so thorough that they even tried to imitate the dancing style of Ginger and Fred. The Dancing House was built on an empty lot where there once was a house destroyed by the American bombing of Prague in 1945. In the building there are a hotel, a luxury restaurant and an art gallery. Once you’re done taking shots of the Dancing House, keep walking on a straight line towards Wenceslas Square. The street is lined with beautifully colored buildings, perfect for some great photos. It won’t take you long to get to the Prague National Theatre, the alma mater of Czech opera. As suggested by our food tour guide, I checked the prices of the theatre tickets in Prague: they are very, very cheap. So if you are looking for things to do in Prague at night, definitely check out the programme during your stay. Chances are that you will be able to attend a ballet or an opera night with a ticket of about 10-15€! Prague sightseeing is amazing even when it’s very cold! Karlštejn Castle: Built by Charles IV (the same Charles who built the famous bridge), Karlštejn Castle is one of the most beautiful castles in the Czech Republic and represents the perfect day trip from Prague. There are regular trains from Prague to the Karlštejn station. The ride takes about 45 minutes. From the station there’s another 30 minute walk to the castle. It’s definitely easier to book a half day tour to the castle, with a guide! Kutna Hora: The town of Kutna Hora is a Unesco protected site. Home to two famous churches, one of them being an Ossuary, with rooms built from human bones. The train ride from Prague lasts about 50 minutes. Once there you can also visit Gothic St. Barbara’s Cathedral and the former Royal Mint named the “Italian Court.” Even in this case there are interesting guided tours that will take care of the logistics, departing from Prague. Cesky Krumlov: Another UNESCO-listed town, probably one of the most famous in the Czech Republic. This medieval town, with its cobbled streets, beautiful surroundings and impressive castle, is one of those unmissable spots that will also provide great Instagram shots. Instead than renting a car just to get there, book a bus ride with a guided tour to be able to enjoy also the trip there. Strolling through Prague Old Town is always a great idea! What a pity that the Astronomical Clock has been closed due to renovation until August 2018, it certainly was a key attraction in the Old Town. I love Prague, its one of my favourite European cities. That Dancing House building, Charles Bridge and the Prague Castle are such lovely architectural pieces, aren’t they? Consider a good half a day to explore the Prague Castle, because there’s so much to see and do! As for the day trips, I always suggest them if you have 3+ days, otherwise there wouldn’t be enough time to visit Prague! I’m actually very interested in visiting Prague. I’m quite intrigued with your description of Prague as being even more beautiful than Paris. (Because honestly, I’ve always thought Paris is a little too gray for my tastes, anyway!). I’m totally up for seeing the pastel buildings, the beautiful historic clock, the Gothic Church of our Lady, and the famous Dancing House. What I’d most like to do is just wander through all the old parts of town and get lost (while taking tons of photos)! What an amazing guide for Prague. We’re heading there for the first time this summer and I’m sure we’ll only be there for 4-5 days, but now I know to spend one of those days in Cesky Krumlov. I also had never heard of the Jewish Center, but visiting the Jewish Museum is now high on my list. Great tip! Oh wow amazing! Let me know if you go to Cesky Krumlov, it’s SUCH a beautiful place! As for the Jewish Museum, it was definitely one of our main highlights too, so you won’t be disappointed! The pastel colored buildings with intricate designs, beautiful sky, smiling people and the scent of food in the air is enough to get people attracted to Prague. My favorite places will be exploring the old town and visiting Prague castle. I will love to take the food tour too. We actually enjoyed our food tour of Prague so much because it also helped us to understand the history of the city, so it’s not only about food but about culture and traditions, too! Your photos are sensational! Prague has been a place I wanted to go for a long time. Great itinerary and I like you have some day trips out of the city too. Wenceslas square – wow. I never pictured the Fred and Ginger modern architecture there. Bookmarked for future visit! I wrongly thought that the Dancing House was pretty well known but I’m realizing not many people have seen it! Definitely go have a look when you go to Prague! Prague is one of my favourite destinations in Europe. I think it is far more romantic than Paris, and I love the Charles Bridge, especially if you get up early to get on it! I really enjoyed Prague Castle too, I couldn’t believe how big it was! Definitely Prague Castle is a must visit, we loved to visit all the churches, the beautiful Cathedral and even the dungeons! It’s bound to take at the very minimum 2-3 hours but it’s worth it! It’s been my dream to go to Prague, so this post is really helpful for planning it! Prague Old Town looks beautiful and I’d love to explore the different restaurants and shops there. I can only imagine being there during the famous Christmas markets. There’s a lot of great street food in Old Town! As for the rest, you can find info on the Christmas markets in Prague here! Prague is one of the most coolest city of Europe but unfortunately it is underrated. I have been to Prague but only for short duration of 1 day and loved it a lot esp. the old town and the castle. We also loved Prague Castle a lot! Prague is such a cool city – I had been there twice but I always love to come back and explore new things in this awesome town. We’re also thinking of going back for more!!! Any tips we can add to the article to help other travelers? Your post really makes me want to go back to Prague soon. The day trips outside the city are very inspiring, too. And I appreciate how you are spelling all these terrible czech words – molto brava ??? Haha I learned a tiny (really tiny!) bit in Slovakia for the Christmas markets in Bratislava, so the Czech words didn’t seem so scary once I got to Prague! 😀 Grazie! Fingers crossed that you get to go soon! Prague is on my bucket list and I want to visit on winter, I want to explore that beautiful city at Christmas season, what do you think? I loved Prague in Winter! You can find more on my article on the best Christmas markets in Europe, it’s some kind of Christmas fairytale! I love that you have day trips from Prague too. I have read enough of Prague itself. That will make for a good 5 days for Prague then. I also learned about an ossuary! It’s been ages since I’ve been to Prague. Wish I would have had this breakdown of things to do then. 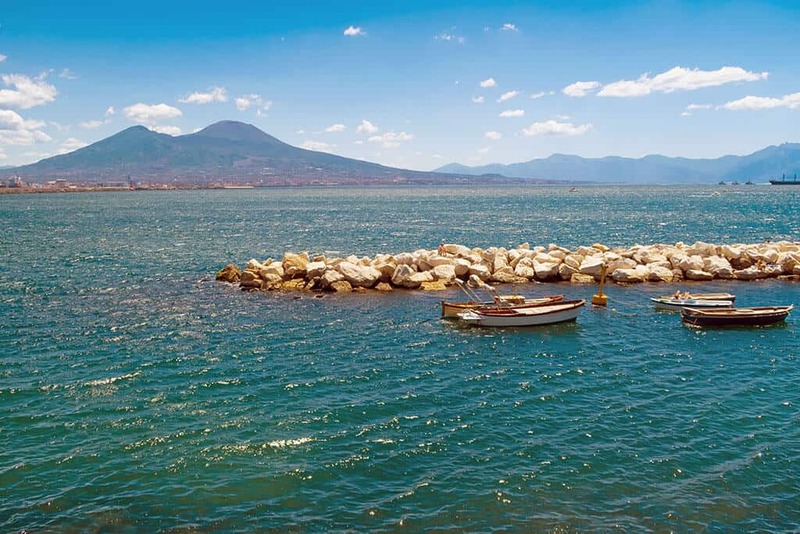 Love the tips for the day trips – will have to check a couple of them out next time I am around. Happy Travels. Ohh Prague! I visited for the first time about 1 month ago. It’s such a pretty place, I absolutely loved my time there. Great itinerary for anyone going to visit. My favourite place was the views of the city from the park by the Castle! We might have been there around the same time then! We were in Prague less than 1 month ago! And you’re absolutely right about the views from Prague Castle, some of the best in the city! Totally agree that Prague is one of the most underrated cities in Europe – I LOVED my time there, which really surprised me as when I went I hadn’t really heard much about the city. I’m one of those people who think it’s more beautiful than Paris – it’s nice to know that tourism is picking up and it’s becoming internationally recognized now but I do hope that it doesn’t fall victim to mass tourism as it becomes popular, and lose it’s bohemian charm to commerclialism. A fabulous itinerary, and glad to see you included day trip recommendations – Kutna Hora was AMAZING :D! I’m so excited to go to Prague next week, I can’t wait! I’ve already booked my tour to the Old Town Hall, I hope I can still see something now it is being refurbished. I’m also looking forward to trying all that food, yum! From the outside the clock is completely closed, but you can see some of the tower. If you got the ticket you can still climb to the top to take pictures of the square so I wouldn’t worry too much! We just returned and we honestly loved everything so much, even if we couldn’t see the astronomical clock! Have a great trip! The dancing house totally looks awesome! Prague’s architectures are charming and serene. Tho like most Filipinos, visa to Europe including Prague is a bit tricky, but I’m not giving up because I’m actually moving to Germany next year so Prague is just a mile away! Hoooray! Met some awesome Prague people and they’re cool, too! I’d like the sound of Tram! Like the ones in Hongkong! Germany is the perfect starting point to quite a few amazing road trips in Europe! You’ll be so close also to Bratislava and Vienna so congratulations, I’m SO happy for you! A great itinerary for a visit to Prague. We visited Prague for the first time in 97 and have been a few times since. Walking the old town at night is a great thing to do and really atmospheric. One visit was in December for the Christmas market and we had really cold weather. How cold was it? I’m starting to think we were pretty lucky with the weather! Loved Prague when I visited last year on a 3 day trip. Next time I’ll make sure to visit the Prague Dancing House. Thanks for the tip! I would say that 3 full days is a good time for first-time visitors, and would add some day trips from Prague only if you have 4-5 days or more. despite you mentioned that it’s the infamous dancing house in prague, it’s actually my first time to find out about this interesting trivia. I didn’t know it’s so difficult to get a visa for Europe from your side of the world 🙁 I feel for you! You are so right, Prague is such a colorful city. I loved the view that you get from Prague Castle with red roofs and green domes. It is a lovely city to explore. Oh yes from the Castle the view is breathtaking! It’s brilliant at Christmas time because the markets are open all the way until January 1st, unlike most others! Also, the zoo is fantastic, one of the best in the world. Christmas in Prague is absolutely amazing, we loved it! Seems ideal itinerary for 2/3 days. Mine was similar. The most memorable was the walk across the Charles Bridge. But I missed the famous dancing house of Prague. Hoping to return some day. You’re right that I did kind of expect Prague to be more grey, but your photos are colourful and look so cosy. Love the idea of a food tour and that helping you to get to know the real city a bit more. I was honestly baffled, it’s such a colorful city, and also pretty romantic at night! I have read a lot about Prague, but oddly enough, I wanted to get there even more after a recent chat with a cabbie. I was in Amsterdam a few months ago and the cabbie happened to be from Prague. He was going on about how Amsterdam is nothing in comparison to Prague. Now I really have to check it out. Good to know that you can fit in so much on short trips too! Haha well I love both cities but I must confess that Prague is something else! And yes, being so tiny you can just walk everywhere! Great Itinerary! I loooove Prague! Glad you like it! And yes Prague is amazing!